Our European partnerships network reaches across the continent, delivering our products to complement locally sourced materials in the furtherance of the quality and variety expected by today’s landscaping and construction operations. If such variety were not enough, Derbyshire Aggregates successfully export to Japan some thirty-six varieties of stone chipping for the benefit of the cacti growing industry and landscape market. 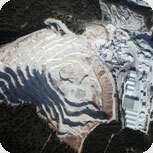 The dolomite quarry in Spain produces many thousands of tonnes of white marble for delivery world wide from fine powders to large sized aggregates. 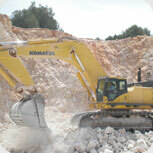 The best quality white in the quarry is sorted and then processed for the markets in the UK. 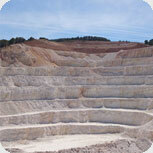 The white Dolomite from this quarry is regarded as the best in Spain and has uses in glass, white lining, construction, pebble dashing and landscape markets, used for its renowned consistency and quality. We bring boatloads in every month to process and supply out. 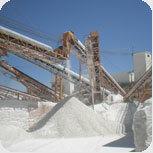 The calcining plants in Denmark and France are where the production of calcined flint and classic flint takes place. Classic flint is a warm pastel shaded durable aggregate used extensively as a pebble dashing material and on concrete garage panels. It is also used on many landscape projects. Calcined white flint is also a very popular material used in its original form, or mixed with other colours to give a clean crisp finish to any project. Again favoured highly in pebble dashing as it is more resistant to discolouration and helps lift a dashed buildings appearance. Calcined flint is also used extensively in the Potteries market around Stoke where it is used as part of the process in high quality china. All of our suppliers, whether they be quarries, hauliers or contractors we regard as our partners within this business, as it is our experience coupled with theirs that produces the end result for our customers. 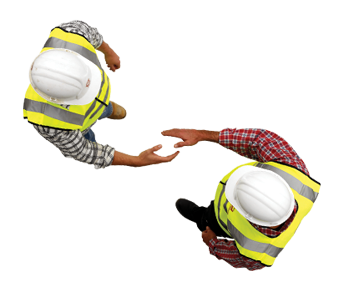 We are only as good as our suppliers so we ensure we have close relationships with them and they can understand exactly what we need from them to fulfil our aims. This really does work well and a clear policy throughout delivers consistent quality and service.